As the Open is about to get under way at St Andrews, researchers at the University of Exeter have one bit of advice for pros taking that crucial putt — keep your eye on the ball. Studies by staff from the University's School of Sport and Health Sciences have shown that focusing your eye on exactly the right spot at the right time can be vital to success in sinking the ball. 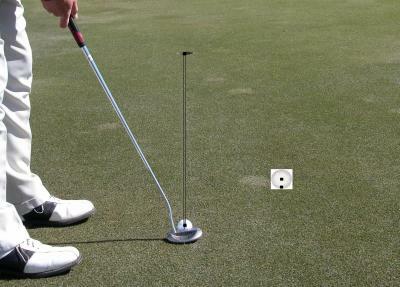 Their research has shown how using a technique known as the 'Quiet Eye' can help golfers of all abilities to improve their putting accuracy, stay cool under pressure and hole more crucial putts. Samuel Vine, who led the research, said: "Putting is a hugely important part of golf — accounting for around 45% of the shots taken in an average round. It's vital to success and requires high levels of precision and accuracy, making it susceptible to breakdown under high levels of pressure and nerves. Our research shows that assessing visual control, using state of the art eye trackers, and coaching golfers to use the Quiet Eye technique can lead to dramatic improvements in putting performance." Previous research has shown the best putters all follow a similar pattern of visual control, before and during a shot. When lining up a putt, experts alternate quick fixations between the ball and the hole. Then before and during the stroke they hold a steady fixation on the back of the ball, for around 2-3 seconds. After contact with the ball the eyes remain steady for a further half a second. This technique was named the Quiet Eye. It is effective because it allows the golfer to take in only the necessary visual information required to make the shot. Focusing anywhere else can interrupt the organisation of millions of neurons in the brain that convert the visual information into movements of the putter. To assess the benefits of the Quiet Eye technique Mr Vine and his colleagues measured the putting performance of a group of golfers (with an average handicap of 2.5) before and after they'd been taught the Quiet Eye technique. 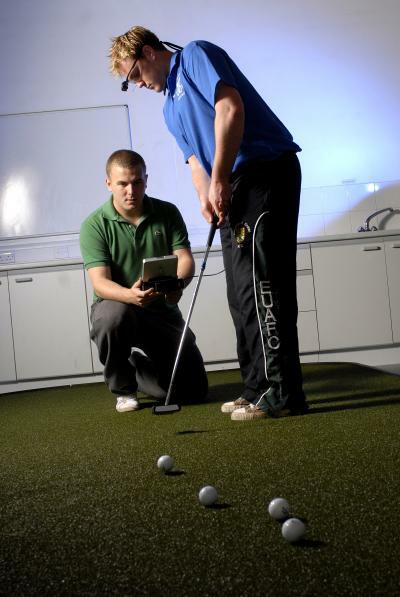 After the training, they sunk 6% more of their putts and reduced their average number of putts by 2 per round. The same group of golfers were then put in a high pressure environment, competing for a £100 prize in a putting competition against a second group of golfers who had not been taught the Quiet Eye technique. Again, those using the Quiet Eye came out on top, sinking 17% more putts than their competitors. Findings from a study to be published in the Journal of Applied Sports Psychology show that Quiet Eye training can also aid the performance of novice golfers, improving the speed at which they learn to putt and helping them maintain performance under pressure. Mr Vine added: "Obviously just keeping your eye on the ball won't make you Tiger Woods overnight, but our research shows that changing small but important elements of your pre-shot routine and learning to control your vision can improve your accuracy, allow you to maintain focus under pressure and ultimately make more putts."